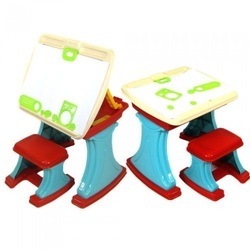 Fun for Kids' Educational Games and Toys range from wooden to rubber and plastic made. 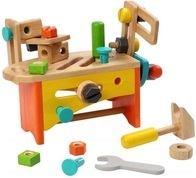 Our wooden toys are made of rubber wood, an eco-friendly re-plantable wood from old rubber trees, made in Thailand. 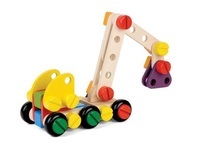 The paint used on these wooden toys are non-toxic water-based paint which are safe for children. 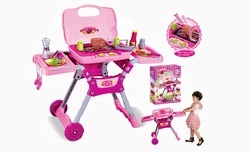 Our plastic toys are carefully designed great children's imaginative role play. These are mainly imported from Hong Kong and China. Children will be able to form innumerable and fascinating patterns by combining the 8 squares and 16 triangles in 4 attractive colours. Included in the box are cardboard patterns that can be inserted into the wooden frame to play educational shape - matching games. A wide range of models could be assembled with easily fitting various types of hubs and rods, no assembly tools required. 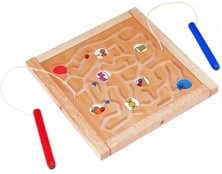 Drag the balls with the magnet pens along the maze lines - increases fine motor skills. There are 5 sets of puzzles that can be slotted together to create 5 different animals. When each set of the puzzles is laid flat on the table, the set will have identical animal. 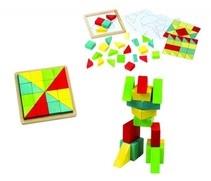 There are up to 13 pieces of puzzles and 1 string that allows 2 creative play functions: 1. Play on-the-board by placing his clothing on top to match the uniforms; 2. Play off-the-board by bringing the boy out and practice lacing to match his uniforms. A set of 16 blocks featuring 4 popular children's stories on four sides. 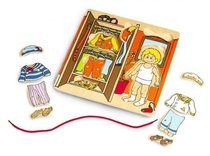 The other two sides are printed with pictures of characters and objects associated with each story( 8 pictures per story ), which children may use to tell the story. A wooden tray is provided to hold the blocks. Learn about shapes and numbers through stacking function, matching with basic shapes and colours. 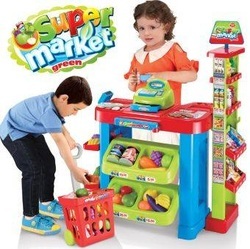 We have carefully selected these range of educational toys with aims to achieve the above benefits in children. A wooden doctor play set that comes in a carrying case. It includes a stethoscope, thermoscan, reflex hammer, syringe, ointment tube, medicine bottle and a medical record. A plate of wooden dish that consists of a steak and a piece of fish that can be cut up into 6 pieces, accompanied by french fries. beans, carrots, a slice of lemon, and a piece of butter. Wooden cutlery is also included. 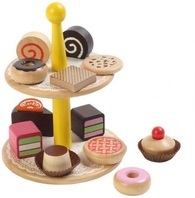 A set of wooden pastries for children's pretend play tea party. 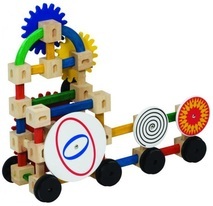 The girders, threaded rods and large wheels can be assembled with the nut and bolts to make dozen of toys that move and spin. A set of wooden tool box that can be played on the table as a tool bench or to turn it over to carry as a tool box. Tools are included. Description: Works exactly like real vacuum cleaner with detachable hose and removable dustbin for cleaning. Description: Mini vacuum cleaner uses 3 x AA batteries (not included) that works like real vacuum with detachable hose and removable dustbin for cleaning. 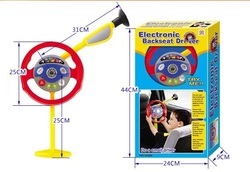 Description: Uses 3 AA batteries (not included), working microphone, calculator and scanner with light and sound. The drawer opens with key and button. 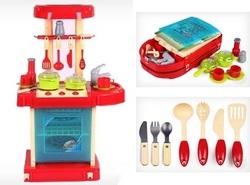 More Educational Games and Toys available at Lazada!